Hello! Today I have a quick mainstream swatch for you. My swatch pile is so massive that I feel some of my older polishes are becoming a bit unloved, so recently I've been pulling some of them out to wear. 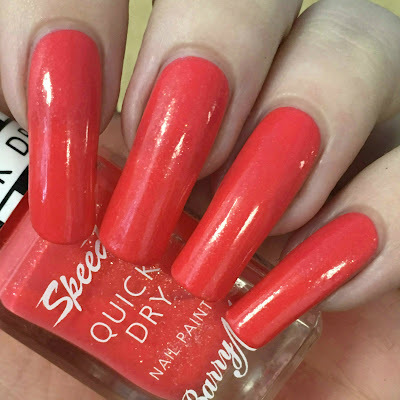 This time I went for Barry M 'Turbo Charged' from last Summer's speedy quick dry collection. Read on for my swatch and more info! 'Turbo Charged' is a coral full of tiny silver flakes. The formula was smooth and easy to apply, and although initially a bit sheer and streaky, it built up nicely. I applied three coats, yet could have got away with two. The third coat did brighten the colour slightly, but didn't make a massive difference. Below is three coats and topcoat. What do you think? I love how bright and Summery this feels! The addition of the silver flakes gives it that extra little sparkle, and makes it stand out from others in the Speedy Quick Dry line. 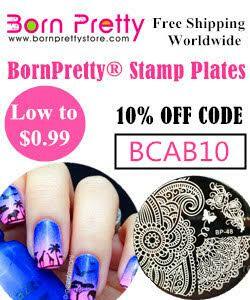 Have you pulled out any older polishes recently? Sometimes it's nice to go back and re-wear an old favourite (or an untried that's slipped through the cracks!). You can find 'Turbo Charged' on the Barry M website for £3.99 here. 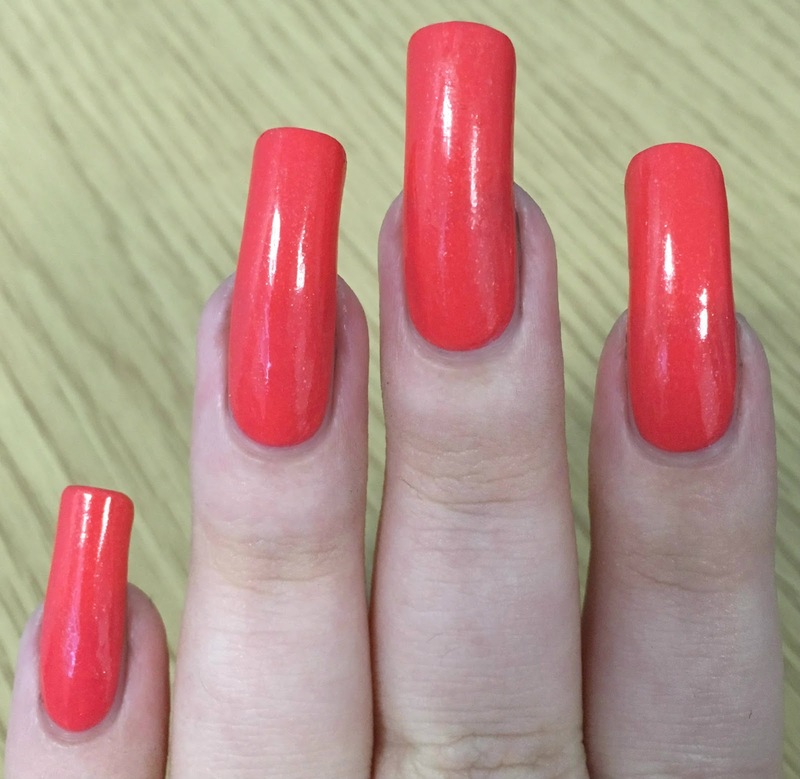 What a gorgeous shade of coral!! I love the gold flakes in there too. Definitely the perfect summer polish! I have so many older unloved polishes. I need to get them swatched soon, thanks for the reminder. Every once in a while I love wearing some old stuff! This colour is perfect for Summer! This is a beautiful coral polish! Great color! I love coral polish.